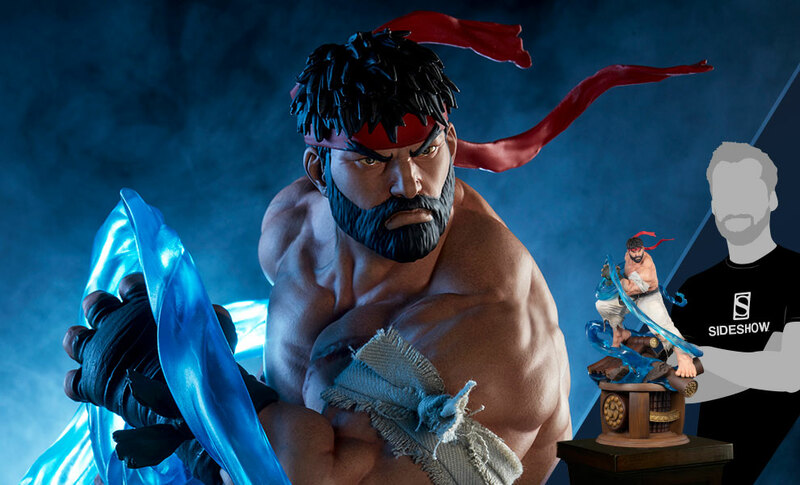 Sideshow and Pop Culture Shock Collectibles present the Battle Ryu Ultra 1:4 Scale Statue, ready to level up your roster of Street Fighter collectibles. 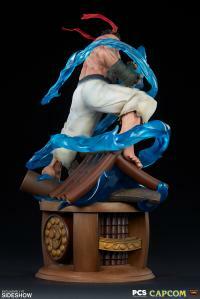 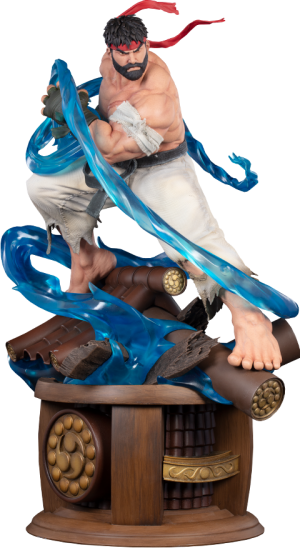 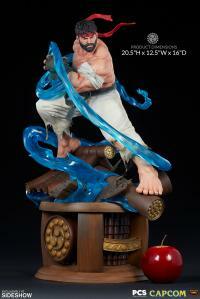 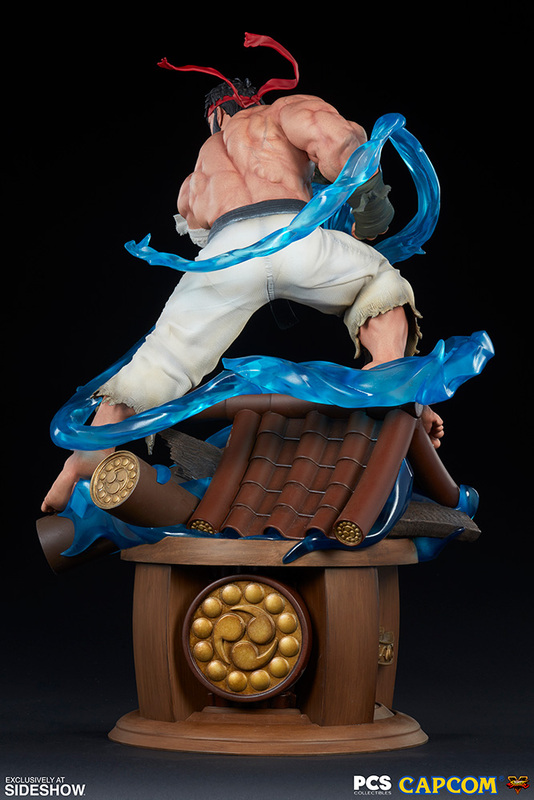 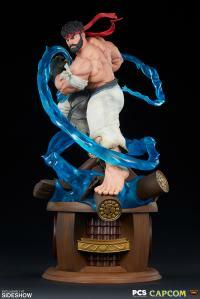 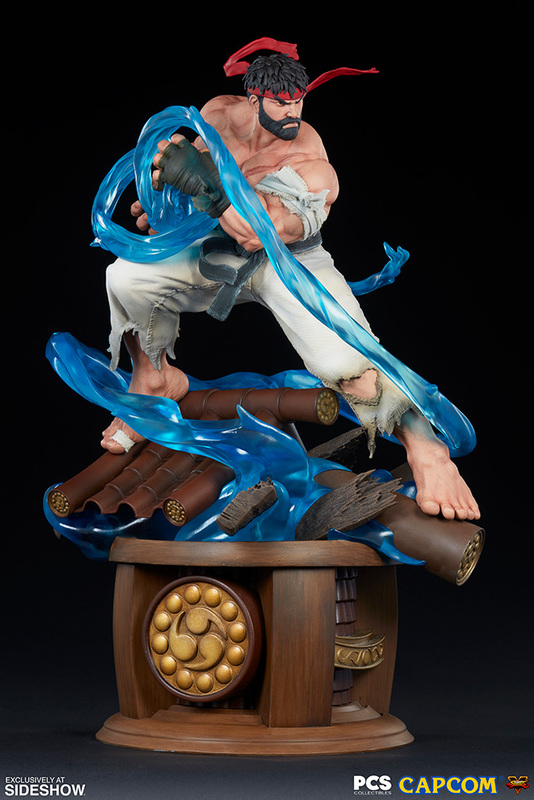 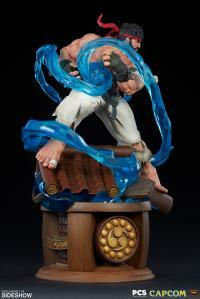 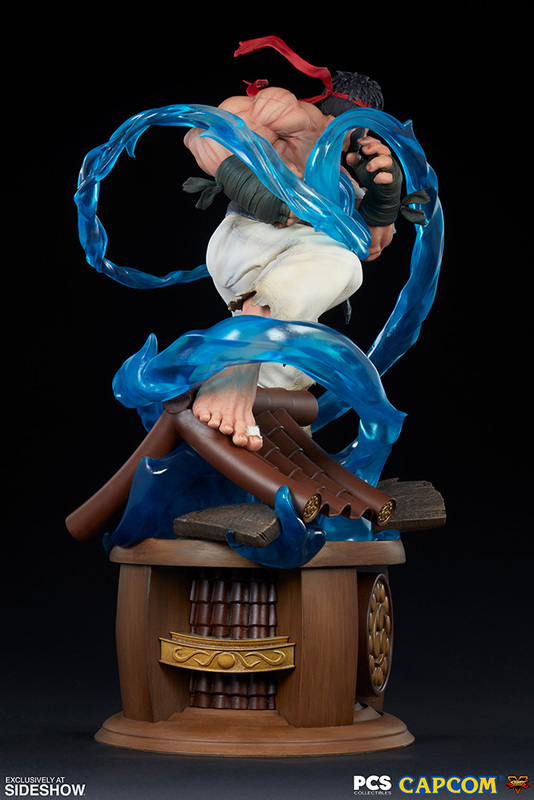 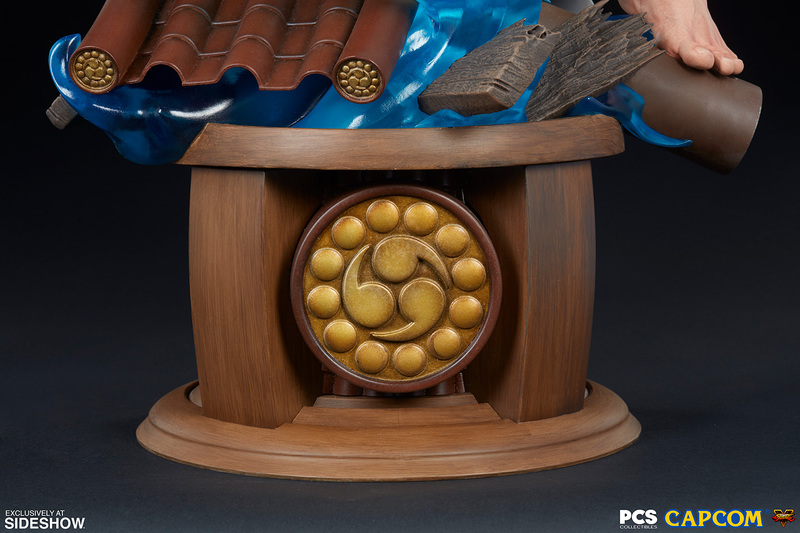 Based on his appearance in Street Fighter V, Battle Ryu stands about 20.5” tall atop a stylized Suzaku Castle base. 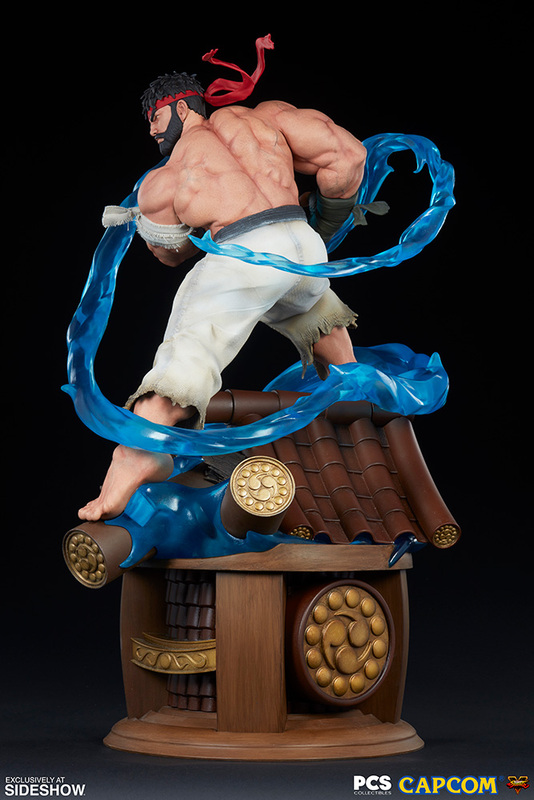 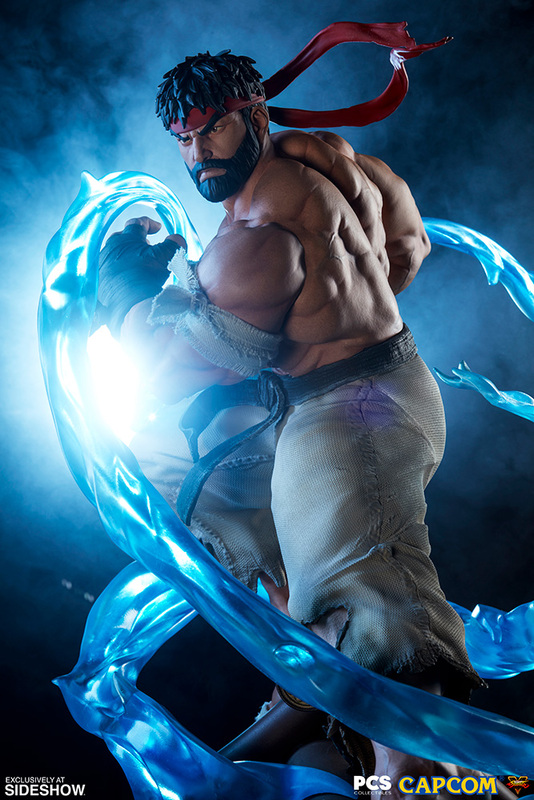 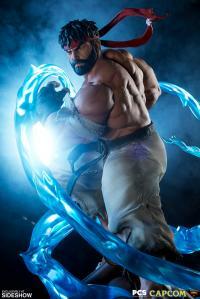 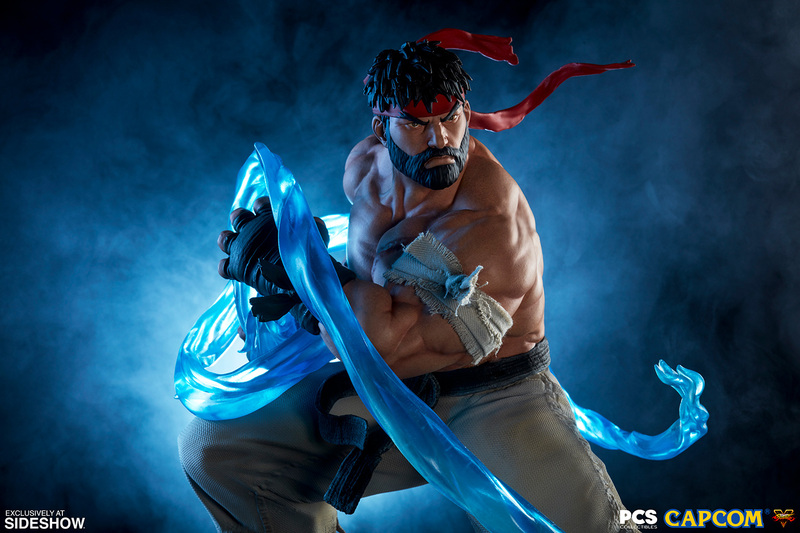 Translucent blue energy surges around the statue as he charges his iconic Hadoken attack in a moment of intense focus, captured in this dynamic video game collectible. 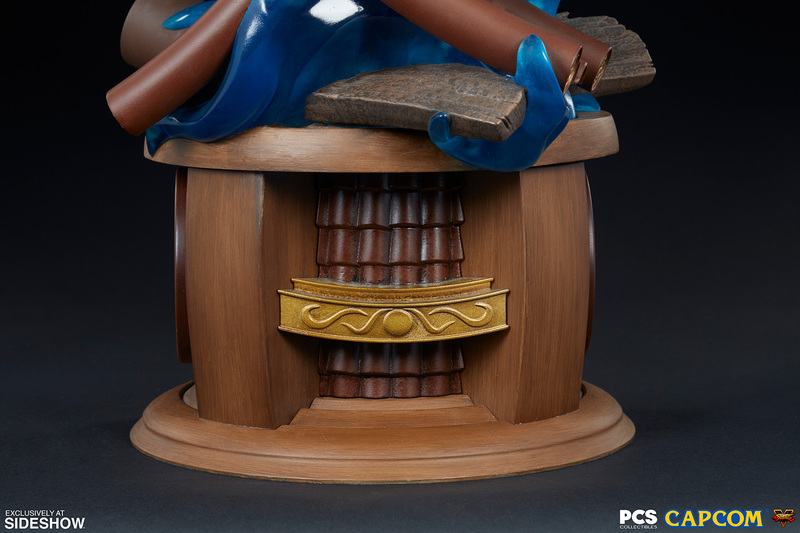 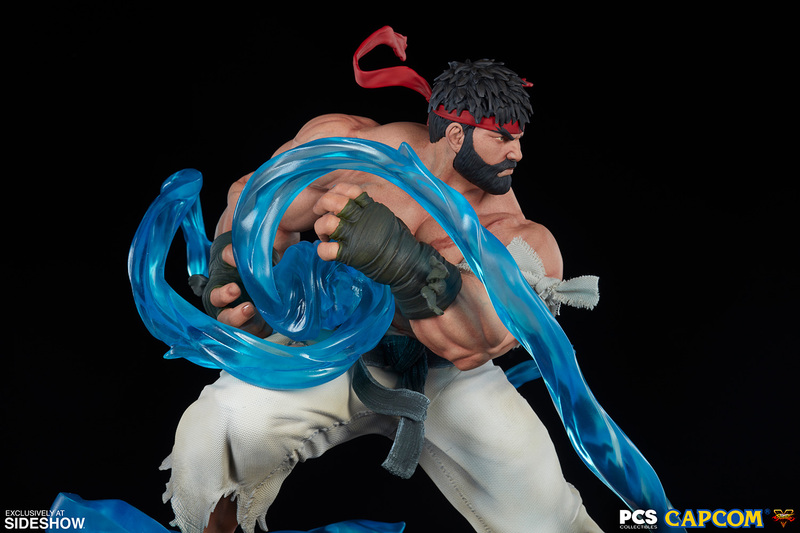 This ultra-detailed 1:4 scale statue has a fully sculpted costume, faithfully referencing actual in-game models to ensure the utmost accuracy to this iconic character. 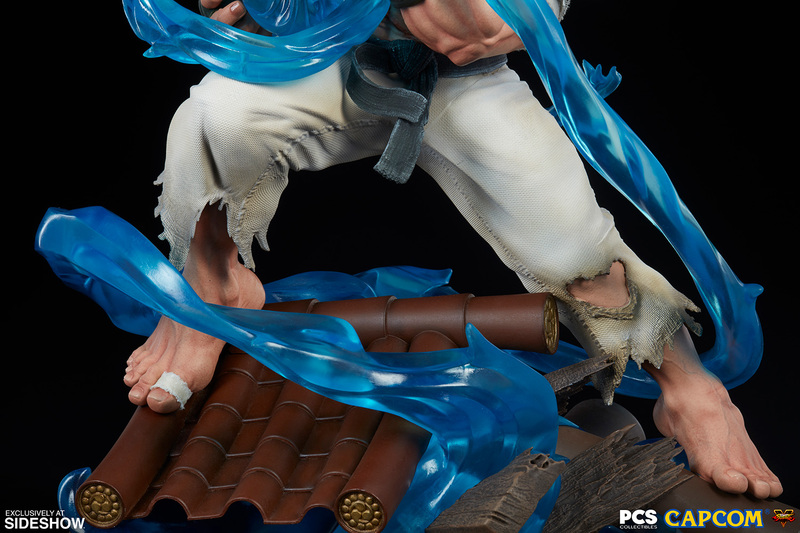 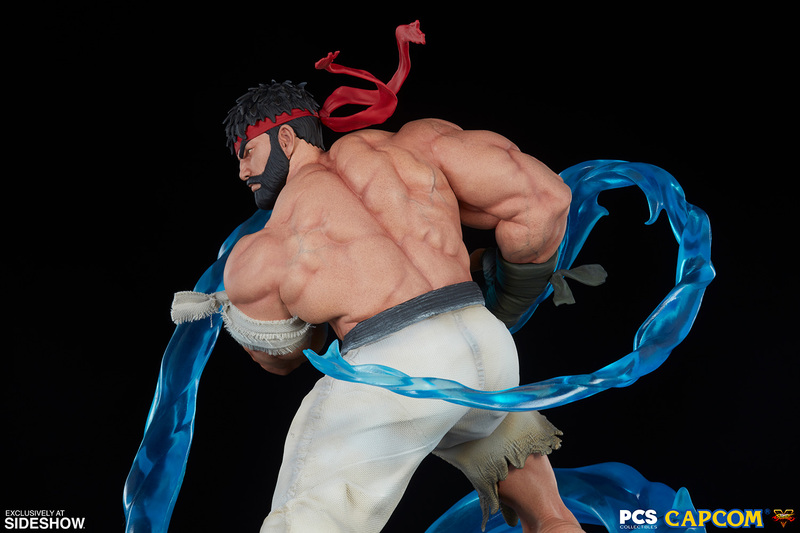 Battle Ryu’s muscled physique features veins, scars, and textures that blend realism with the animated style of the beloved game franchise. 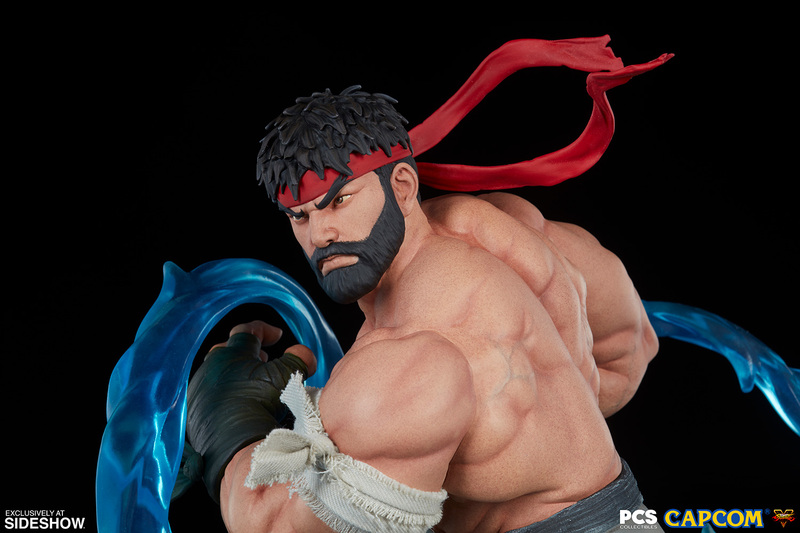 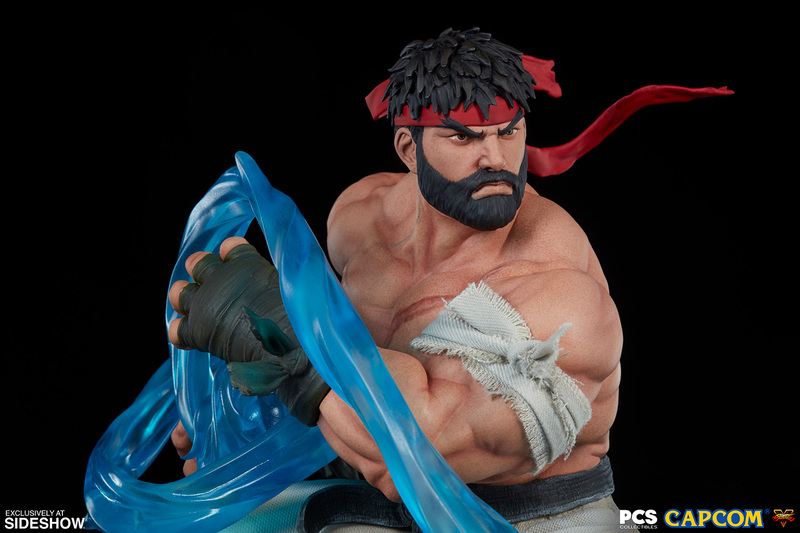 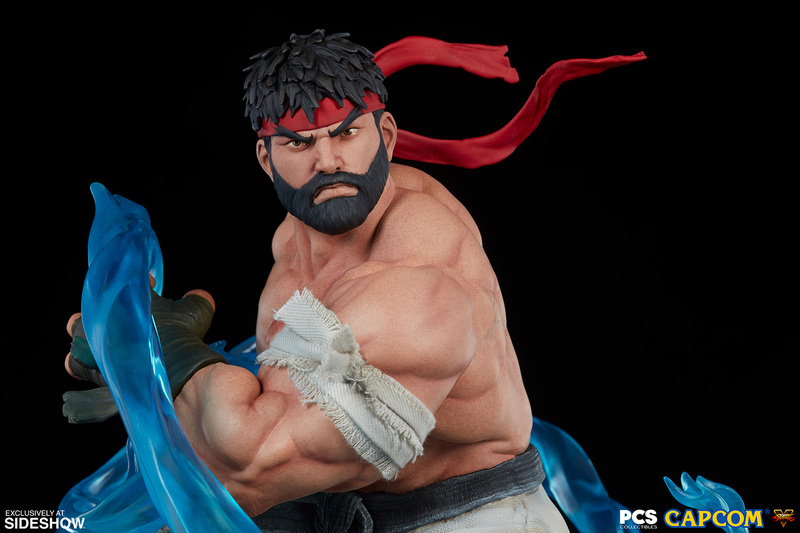 His bearded portrait, tattered gi pants, white armband, red headband, and green gloves are all sculpted with detailed textures, adding a new layer of finesse and fidelity to this Street Fighter collectible. 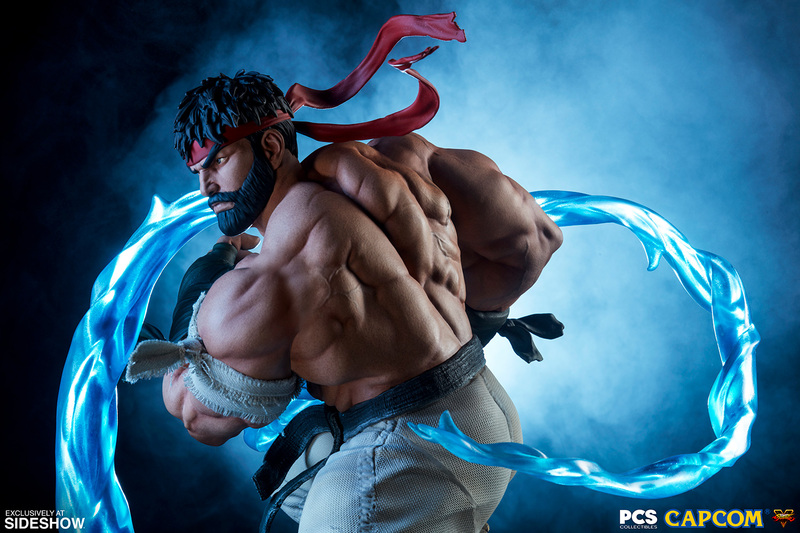 Hit the Character Select screen and add the Sideshow Exclusive Battle Ryu Ultra 1:4 Scale Statue from Pop Culture Shock to your Street Fighter collection today! 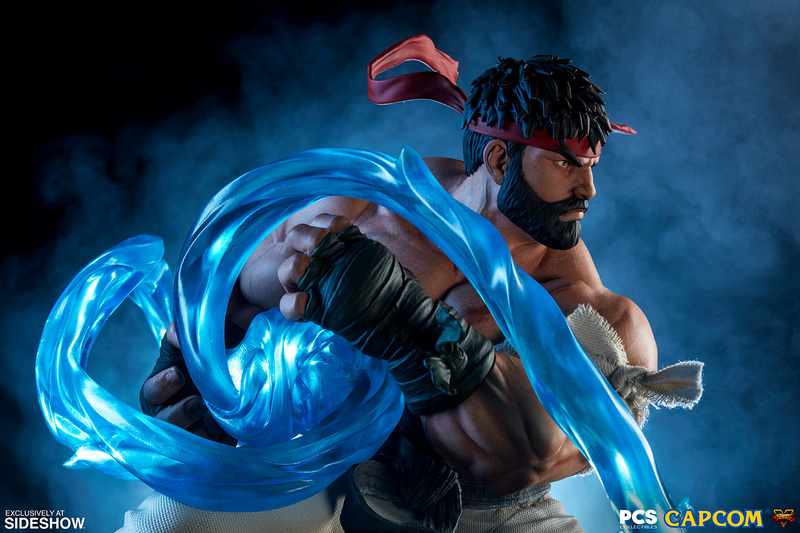 Pay as little as $61.87/mo.